The 535ATS combo was spawned by the success of the 3" chambered 500 and the 3 1/2" chambered 835. 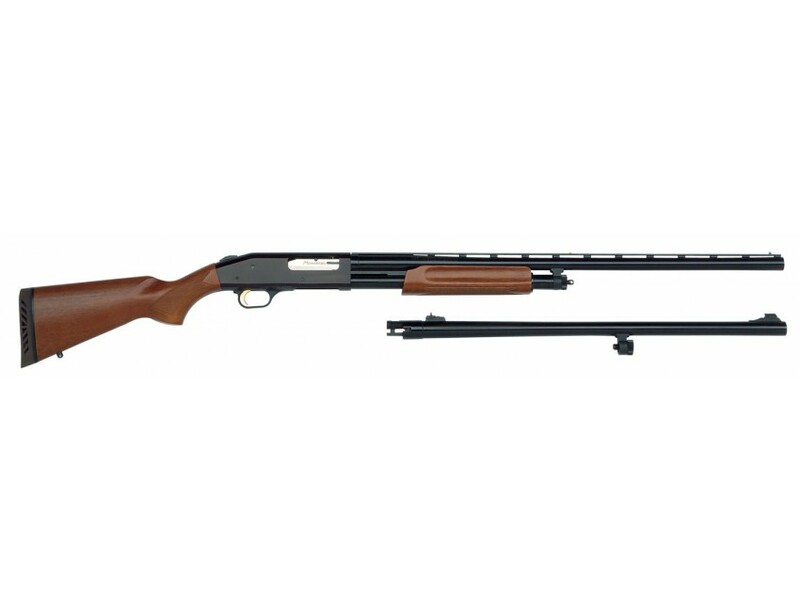 It will take 2 3/4", 3" and 3 1/2" shotgun shells and is prepared to handle any of your shotgun hunting opportunities. With a simple change of barrel and/or choke tube you can go from hunting waterfowl, to upland birds, to wild turkeys, to deer and other big game. This shotgun comes with two barrels. The Field barrel is a 28" long and has a vent rib and comes with double beads and Accu-Set choke system. The Deer barrel is 24" long and comes with rifle sights and is fully rifle bored.